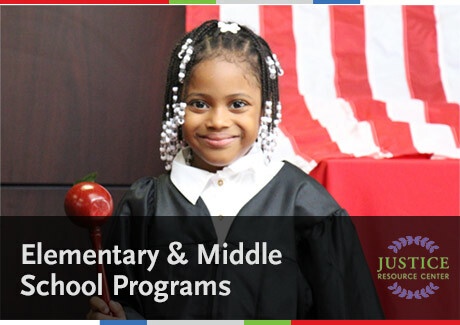 The Justice Resource Center (JRC) promotes annual law essay contests sponsored by our legal partners. Please see some of the past essay contests below and contact the JRC for information on current essay contests. The Association of Justices of the Supreme Court of the State of New York and the New York Law Journal have partnered with the New York City Dept. of Education to sponsor the Eighteenth annual essay contest for 10th, 11th and 12th grade high school students. Ten students will win the opportunity to intern for one week with a Justice of the Supreme Court and earn a $100.00 gift card. One of the winning essays will be published in the New York Law Journal, a legal periodical published by the ALM. In the United States and around the world, freedom of speech and the press are prominent topics in public discourse and litigation. It is impossible to imagine a free society without these individual liberties, yet historical and current debates surrounding them continually challenge us to consider their boundaries and resilience. Changes in technology have reshaped how free speech and free press work in the everyday world. Students should write a 500 word essay presenting a compelling discussion on the topic with special focus on the importance and impact of a free press in a free society.